The true City of Lights (regardless of what Las Vegas or Johannesburg have to say on the matter), Paris is one of the most visited cities in the world, and commonly regarded as one of the most beautiful. From the patisseries and cafés, to the staggering architecture and infamous fashion sense, the richness of Parisian culture and history is evident everywhere. So if you’re ready to pack your bags and head to the French capital, check out these 10 top universities in Paris, based on the QS World University Rankings® 2019. Université Paris Descartes is Paris’ 10th highest-ranked university in this year’s QS World University Rankings, placed in the 571-580 range. Named after 17th century philosopher René Descartes, the university was one of the 13 autonomous institutions founded when the historic University of Paris split in 1970, inheriting its medical department. This legacy is still in evidence, with the institution ranking within the top 150 for anatomy & physiology, pharmacy and medicine in the latest QS World University Rankings by Subject. With a student body of 38,900 and a faculty of just under 3,500 teachers and researchers, Université Paris Descartes is the only university in Paris (and the whole Ile-de-France region) that teaches medicine, pharmacy and dentistry all in one institution. Like many of the top universities in Paris, it’s situated in the city’s Latin Quarter. Université Paris Descartes is set to merge with Paris Diderot University by January 2019, creating the new Université de Paris. Université Panthéon-Assas (Paris 2) went up in this year’s world university ranking to now be placed in the 531-540 range. Like Université Paris Descartes, it’s one of the 13 successor universities to the University of Paris, inheriting the Paris Law School (which dated back to the 13th century). Unsurprisingly then, Université Panthéon-Assas is considered particularly prestigious for law and is in the global top 150 for this subject in the QS World University Rankings by Subject 2018. Most of the university’s 19 campuses are in the Latin Quarter, and it has around 18,000 students enrolled. Currently ranked joint 299th in the world, the Université Paris 1 Panthéon-Sorbonne was another successor of the University of Paris’ law school, and is another prestigious institution for arts and humanities subjects, ranked23rd in the world for archaeology. One of the largest French universities, Université Paris 1 Panthéon-Sorbonne enrolls roughly 40,000 students in more than 14 teaching and research departments, 8,000 of whom are from outside France. Located in the vibrant Latin Quarter, the university operates across several famous historic buildings, including part of the Sorbonne itself, making it a prestigious and heritage-rich place to study in Paris. With its new campus located a few streets down from the National Library of France on the banks of the Seine, Université Paris Diderot is a multidisciplinary urban university within the eastern limits of the city. This year, it climbed 10 places to rank joint 295th in the world and seventh among the top universities in Paris. The school’s 2012 relocation away from the densely populated Latin Quarter, where many of the top universities in Paris are amassed, means Paris 7 may appeal particularly to students who are looking to combine an urban environment with a little calm and space. It has a community of around 29,000 students, 35 percent of whom are international, and it inherited the University of Paris’s distinguished faculty of science. While known for its high standards of research in this field, it’s also strong across a wide range of subjects, including medicine, dentistry, art and humanities and the social sciences. In 2019 Paris 7 will merge with Université Paris Descartes to form the new Université de Paris. One of the founding members of the ParisTech group, the École des Ponts ParisTech is now ranked 263rd in the world, up seven places this year. Known for its culture of invention and innovation, the École des Ponts ParisTech offers programs in the fields of engineering, management, economics, transportation, urban planning and environment. The university’s main campus is a 20-minute train ride north of central Paris, although many students choose to live in the city center to be close to the liveliest areas. The school offers housing in the student-centered Latin Quarter and in other areas of the city. A relatively small community, the École des Ponts ParisTech enrolls just under 2,000 students, of which a quarter are female. 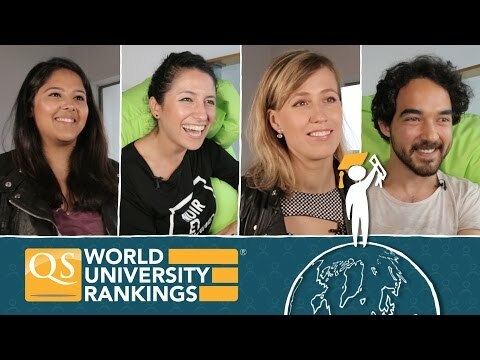 Ranked joint 239th in the world in the latest QS World University Rankings, Université Paris-Sud 11 prides itself on its wide scope of multidisciplinary courses and is spread across four campuses in the southern suburbs of Paris. The scientific campus in Orsay is the furthest from the city, set on 200 hectares of land which include woodlands and a botanical garden. While the Orsay campus is a 40-minute drive from central Paris, Université Paris-Sud 11’s medical school is much closer, in an area called Le Kremlin-Bicêtre, which is just an hour’s walk from the city center. The Institute d’Etudes Politiques de Paris, commonly known as Sciences Po Paris, specializes in the humanities and social sciences, with approximately 35 percent of its budget being used to fund research in these subjects. 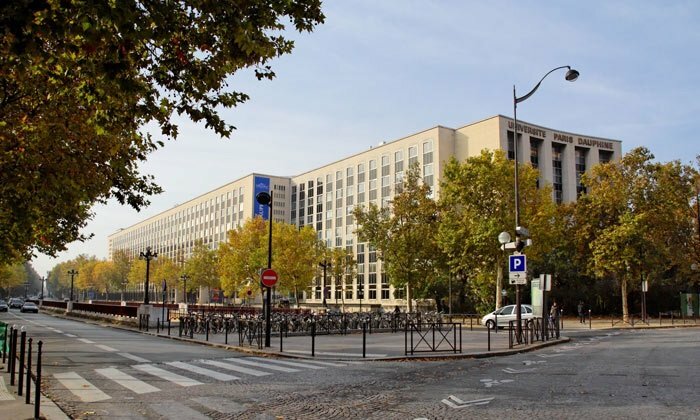 Currently ranked joint 221st in the world, Sciences Po Paris has seven campuses across France, which are home to 13,000 students overall, of whom 47 percent are international. Sciences Po Paris’s main campus is located in the Saint-Germain-des-Prés area of the capital, which was once the center of the existentialist movement associated with author Simone de Beauvoir and philosopher Jean-Paul Sartre. Today, the area continues to be a hub of creative culture and is also home to many famous Parisian cafés. Sorbonne University is ranked joint 75th in 2019 along with the UK’s University of Sheffield and is a new institution, having been formed by the 2018 merger of Paris-Sorbonne University and Pierre and Marie Curie University. It has the largest arts and humanities faculty in France and a student community of 55,300, including 10,200 international students. Sorbonne University has an innovative and global outlook and is committed to long-term partnerships with international universities to further scientific research. It also runs a campus in Abu Dhabi, the capital of the United Arab Emirates, where students can study literature, languages, the humanities and the sciences. Ranked 65th in the world, École Polytechnique (ParisTech) is a founding member of ParisTech (an affiliated group of colleges focusing on science and business subjects) and receives its highest rank in the QS World University Rankings by Subject for the broad subject area of natural sciences, ranked 27th in the world. Although having once been situated in the Latin Quarter, ParisTech relocated to just south of the city in 1976. Now located approximately 30 kilometers outside of central Paris and with a community of over 4,600 students and teachers, ParisTech’s main campus offers over 160 hectares of open space and a range of outside sporting facilities which many campuses within the city center can only dream of. Number one among the top universities in Paris and France as a whole, Paris Sciences et Lettres Research University (PSL) is a new entry in the QS World University Rankings this year and is a collegiate university, formed in 2010 and made up of nine members, including École Normale Supérieure (ENS Paris), one of the most selective and prestigious grandes écoles (great schools and establishments) in the country. PSL gets scores in the global top 50 for its reputation with graduate employers and its ratio of faculty members to students (two of the six indicators used to compile the rankings), with 17,000 students and 4,500 teachers and researchers. The university has excellent links with employers and maintains strategic partnerships with other elite universities around the world, such as Australian National University (ANU) and the UK’s University of Cambridge. Find out more about studying in France with our complete guide, which includes advice on applications, student visas, tuition fees, funding and more. Note: This article was originally published in November 2013. It was last updated in June 2018 to incorporate the latest QS World University Rankings results. Do you have any scholarship for international students? I am Mujtaba Sadid from Afghanistan if it is possible for me please guide me.tnx. If u could provide me with good universities across Europe with funding that would be really great. I am Sukanya from India. I have just completed my masters course in zoology and i was looking for universities in france to pursue a PhD in biological sciences /medicine. Could you help me with the best opportunities available with my field? I would like to opt for funded projects only. I must admit that I think this kind of list is pretty useless. It mixes grandes ecoles and fac for various subjects (ranging from poli sci to medicine). So it compares apples, oranges, and figs. I went to Sciences Po but would never have gone to the Ecole Normale. Hi Rob, thanks for your feedback. The list above doesn't intend to compare the universities, merely to give readers an overall view of which universities in Paris have ranked highest this year. Paris is one of a good place to have a vacation. I wish i can go there someday and visit some top universities out there. Very well written article. Thank you for posting. I got a lot of information. Keep posting and keep up the good work. I am Vikash from India has completed my MSc(CS) in 2014, i want to apply for MS/PhD Program in these top 100 universities. Please tell me that what i have to do for admission ?? and how can i will get notification for admission in these universities??? Hi Vikash - please see my response to your question here.